The Organic Box is one of my absolute favourite Edmonton businesses, because of their commitment to sustainability, their work in improving access to organic food, and their partnerships with family farms and local businesses. As a longtime customer of The Organic Box, I have been amazed at their outstanding customer service, their open and transparent business practices, and their commitment to the betterment of our environment and our local community. The Organic Box is an organization that really walks the talk: a true #YEG Community Hero. You might not know about how involved The Organic Box is with the local community, so I asked Danny Turner, President and CEO, to share a bit about what they’ve been doing with YESS (Youth Empowerment and Support Services) in Edmonton. YESS is an Edmonton-based non-profit agency that was founded in 1981 to support youth at risk and in crisis. They provide care, support, and empowerment for young people from all walks of life, to give them a brighter future. YESS fundraises more than 60% of their budget each year, and they rely on donations to keep their services running. 1. How and why did The Organic Box get involved with YESS (Youth Empowerment and Support Services)? Food quality and security for our community’s youth is very important to us at The Organic Box. YESS has no food budget and relies on donations to supply over 5,000 meals a month to its clients. 2. What does The Organic Box provide for YESS? Since we opened in 2010, The Organic Box has provided donations to YESS on a weekly basis to help them feed our youth. In 2015, we launched our Food Budget Program to give the kitchen at YESS a steady budget of food that they could order to make sure that they always had staples in the kitchen. 3. What does The Organic Box hope to accomplish with YESS in the next year? We want to continue to ensure our youth have a place to go when in need, and do what we can to raise awareness and support for this much needed service in our community. 4. 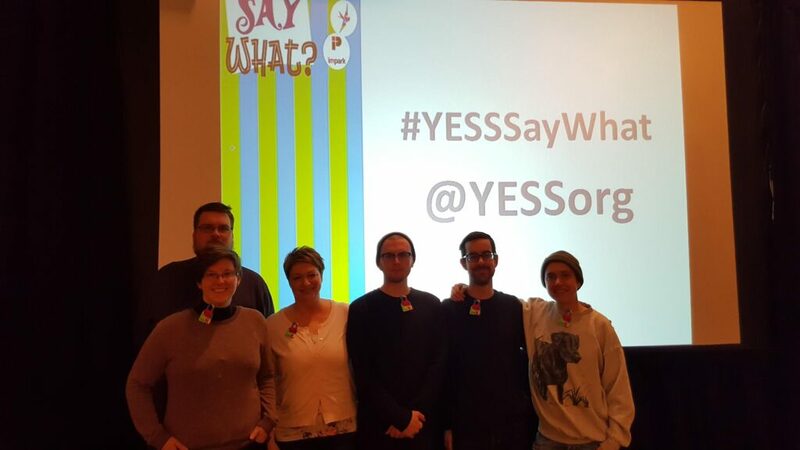 What can the local community do to support YESS? The thing needed most is support from the community. Through our website, our members can make donations to YESS. They can either make a one time donation or they can add a regular donation to their weekly or bi-weekly delivery. The Organic Box matches 100% of donations made by our members and last year we donated over $35,000 in food to the YESS kitchen. I think it’s pretty amazing that The Organic Box matches member donations! That doubles the impact! 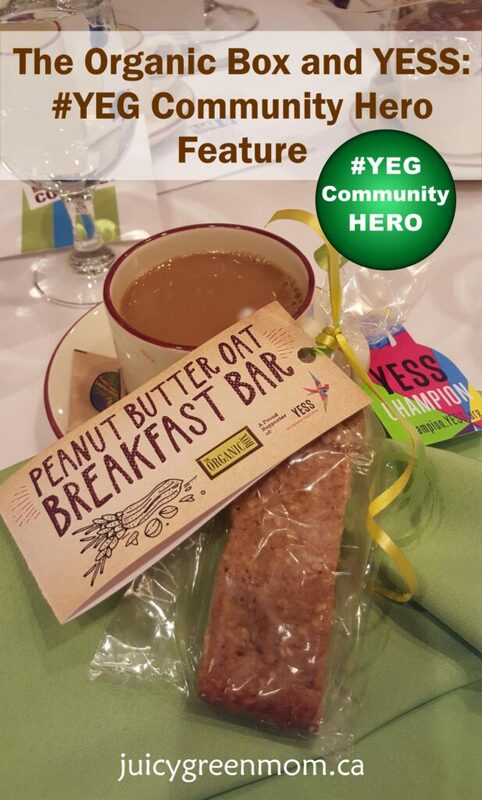 On December 6, 2016, YESS hosted a Champions Day Breakfast, complete with granola bars that were made in the YESS kitchen with a recipe and ingredients from The Organic Box. This is just a little sneak peek into the many ways The Organic Box is supporting YESS and modeling how to be a #YEG Community Hero. How can you support YESS?